YARRRRN: I love finishing projects. 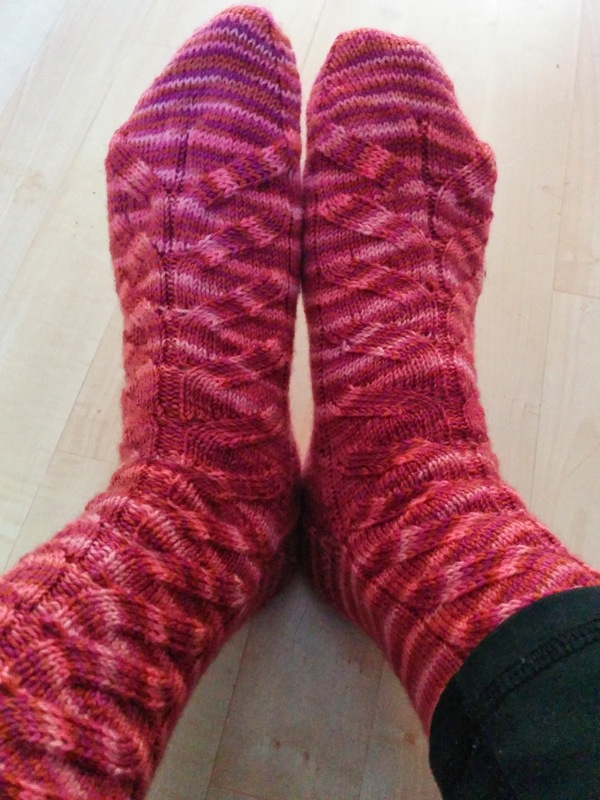 My latest FO is a pair of socks called Tadpole. 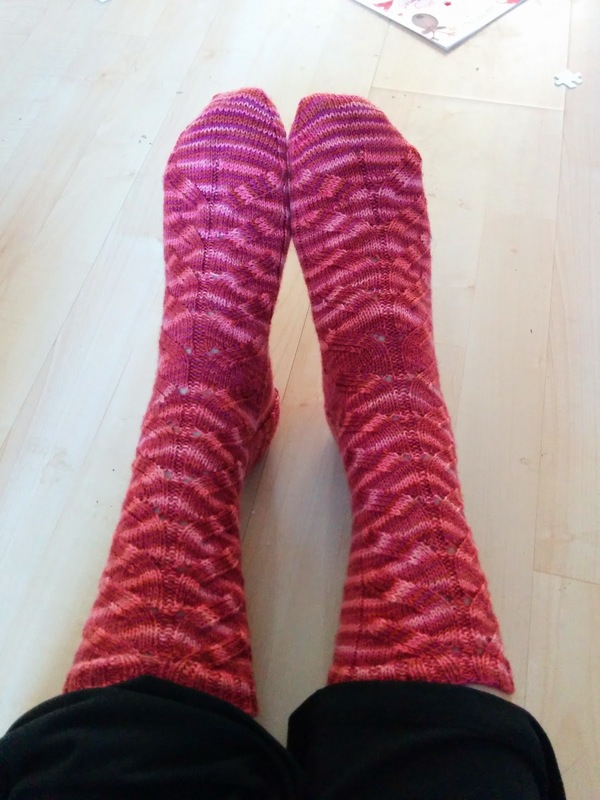 I used Cascade Heritage Paints sock yarn in a beautiful pink colour. 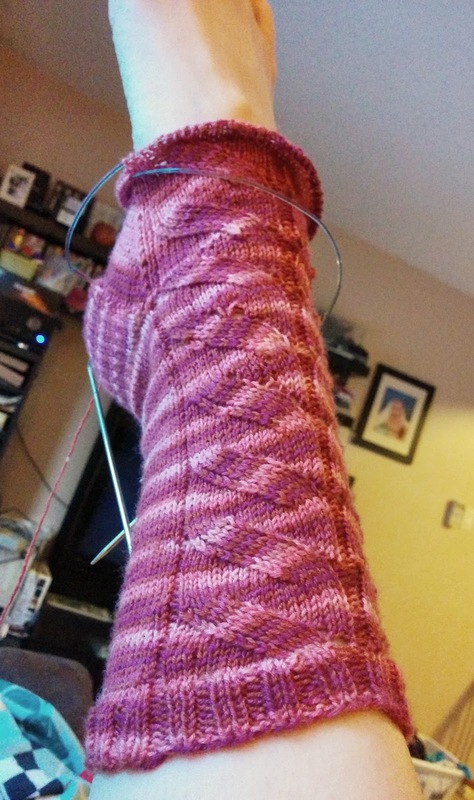 The original pattern called for a 64 stitch cast on which, for me, is usually good enough for my foot. This one knits a little bit tight and I found myself ripping out three reps of the pattern and casting on again with 72 stitches and adjusting accordingly. 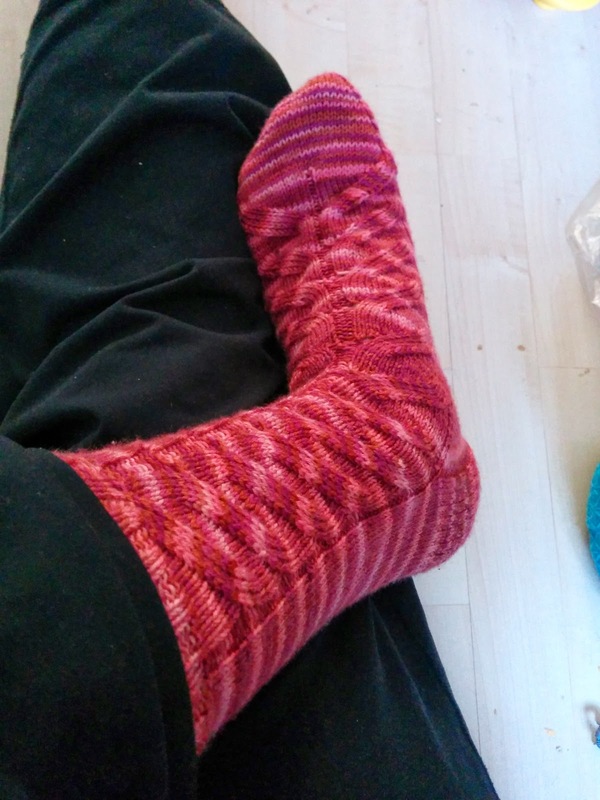 You can read about my adjustments on my Ravelry project page. The pattern itself is really easy to remember. After looking at the whole pattern and counting the number of stitches I had to start with, the rest was instantly memorized. 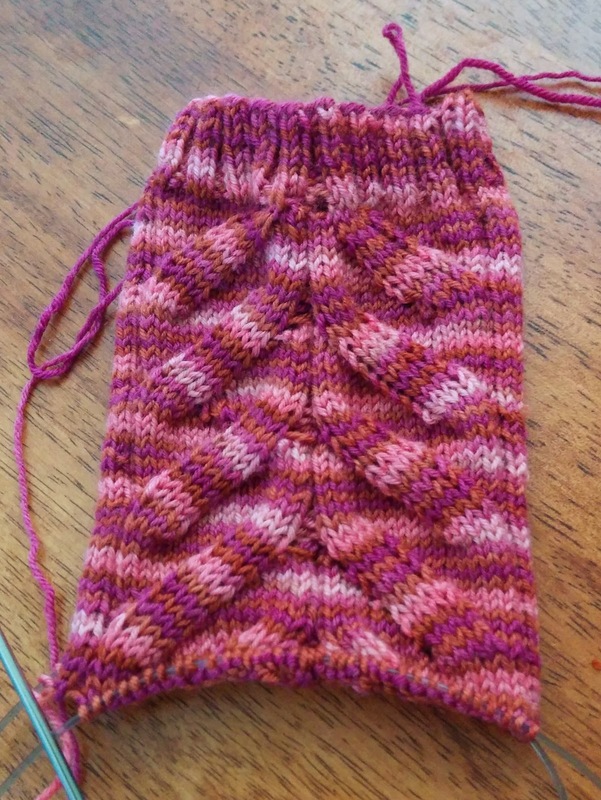 I could have done the pattern for the whole of the leg, too, but I really wanted to knit it up quickly, so the project stayed as was stated in the pattern. 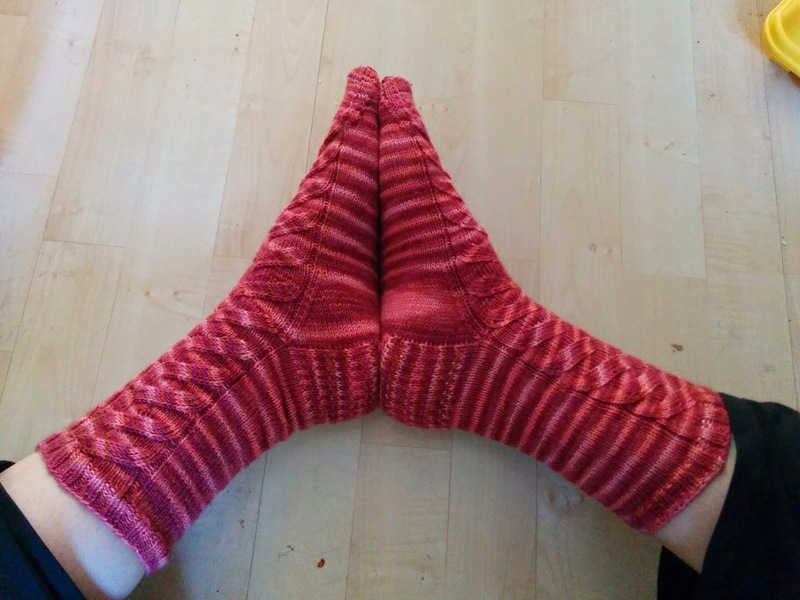 These are cosy and soft and fit perfectly. Anyone who wants a fast, easy, and engaging without attention pattern should try this one out. A couple FOs, plus a Frolic.